Can you recognize the six signs that tell you it’s time to move away from private carriage and towards dedicated contract carriage? Truck fleets and other major capital investments were put on hold during the recent economic downturn, causing the average fleet age to climb to close to seven years, further exacerbating a disruption in normal fleet replacement cycles created by yet another round of diesel engine performance mandates. But when the financial benefits of lower depreciation and interest are eaten up quickly by increased repairs and unscheduled maintenance costs, it’s time for action. A good DCC provider can help you assess your fleet situation and make sensible recommendations for fleet life-cycle planning and replacement, all in an off-balance sheet environment, preserving your capital to invest in more strategic areas. With the skyrocketing costs of acquiring, maintaining, and operating a commercial fleet, it is absolutely essential that your asset utilization is high. Sub-optimal fleet planning bears two symptoms, one highly visible and one not so evident. Vehicles “against the fence” during normal business hours are typically a sign of excess fleet, unless of course the vehicles are used for nighttime deliveries. However, the hidden malady sometimes exists “within” the vehicles, where insufficient freight or inadequate cube utilization is often the culprit. A professional DCC provider will deploy shipment, loading, and routing software to help with this problem, resulting in an appropriate fleet size and optimal asset productivity. A national driver shortage continues to loom as one of the top challenges in the transportation industry where annual driver turnover rates typically exceed 100 percent. When you consider the process of recruiting, screening, testing, hiring and managing drivers costing your company thousands of dollars per employee, it makes sense to leave this challenge to the professionals. Driver recruiting is a core business practice of a quality DCC provider, directing advertising and recruitment campaigns, nationally and regionally, to attract the best talent to their company. Typically, a DCC environment can present better job security to a driver, because there may be multiple shippers the provider services, thus offering alternatives in the event a particular customer’s contract expires or calls for a reduction in service. The typical supply chain adage has been “right place, right time, right quantity,” but these are just table stakes for distribution and transportation professionals today. 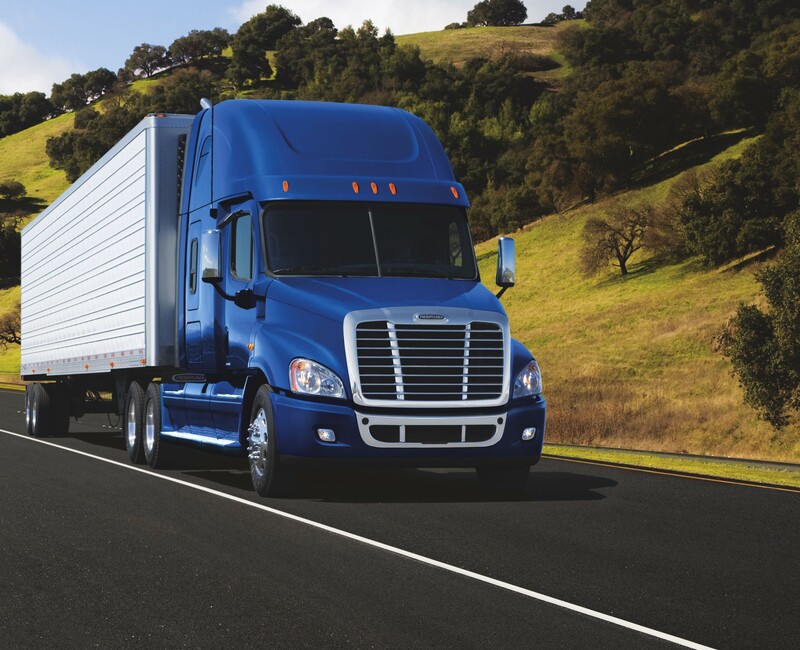 A high-quality DCC provider is regularly expected to provide key performance metrics and operating cost data that is useful for both the shipper and provider in governing their relationship. Equally important is the business intelligence derived from these KPIs in identifying or supporting continuous improvement opportunities. Initial DCC engagements are typically modeled on historical, and often flawed, data and assumptions. After six months or so, the provider will have collected and analyzed reported metrics, providing a more objective baseline for improvement. Today’s consumer has the ability to browse, select, purchase, and return product with a few simple keystrokes. This new reality poses an enormous ripple effect throughout the upstream supply chain, as manufacturers and distributors wrestle with inventory stocking, order cut-off times, and other decisions to best satisfy this empowered customer. Once-a-year network modeling and static routing plans are no longer good enough to compete in this environment. Armed with dynamic routing software, experienced DCC professionals can enable a shipper to meet these demands and provide that competitive edge in this new economy. The costs of sub-performance can be of more than just an expedited shipment or discount on an invoice. In a manufacturer’s inbound supply chain for instance, just-in-time shipments of the right quantity of material are critical in keeping an assembly line running, which can cost thousands of dollars per minute to stall. Equally important are outbound deliveries to a retail store, whose shelf availability of product is often a determinant of same store sales, brand loyalty, and customer experience. A DCC provider understands this well, and will often draw upon its experience with shippers in a particular industry to employ best practices in a JIT environment. If these signs sound all too familiar, we’d like to know how you’re currently handling them. Do you feel DCC is right for your fleet? If not, why not? We’d love to get a discussion going. Find out if Dedicated Contract Carriage is right for you. This post originally appeared on the AmeriQuest Blog Website.